Like my colleague Bryan Bishop wrote, I think the film gets a little stuffed up by Armstrong’s stoicism, preventing us from getting too close to him. 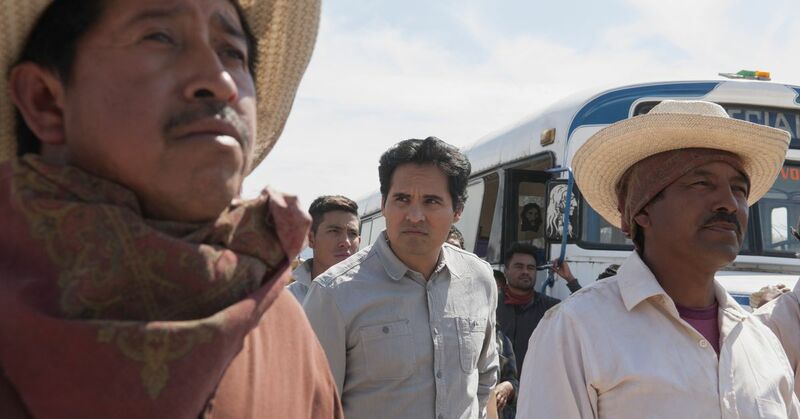 Narcos: MexicoHere’s our first real look at Narcos’ revamped new season / spinoff series, which moves the show to Mexico for what looks like a much bigger and wilder ride. The show is supposed to be about the birth of Mexico’s drug war, focused on the rise of the Guadalajara Cartel. Escape RoomYou just know some Sony producer sent out an all-staff email saying “Millenials seem to be really into these ‘escaping rooms’. It’s really not the worst idea — the film looks like something between Saw and Cube — but the name just seems like the laziest thing imaginable.